It can be difficult to keep children on a healthy diet when they go to school and their food choices are made without parent supervision. Even if you send a healthy lunch with your child, you don’t know what they are eating and what they aren’t. If your child eats the lunch provided by the school, they are given choices and most children will make the wrong ones. In some cases, you will send a healthy lunch with your child only to discover later that they skipped it and ate the school-provided lunch because it sounded better than what they brought from home. Many schools all across the country, however, are revamping their school lunches to include healthier foods. Read on to learn about the new healthier school lunches as well as tricks to pack a healthy lunch for your child that they will want to eat. It is a slow process to completely rework the school lunch system across the country, but many schools have already begun to make the necessary changes. Some schools participate in Farm to School programs, which utilize locally grown produce in the school lunches. This reduces cost for the schools in many cases, while offering a better supply of fresh fruits and vegetables. In addition, a new federal law, The Healthy and Hunger-Free Kids Act, is set to take full effect in the 2013-2014 school year. There are many facets to this new law, but the most obvious are that all breads will become whole grain instead of white, fruit and vegetable serving sizes will double, and all trans fats will be cut from lunches provided by the school. Many schools have already begun implementing these changes instead of waiting until the required deadline. In addition, schools are now required to give access to parents on the nutritional value of each meal. All of these healthy changes to school lunches were created to help combat the high obesity rate in children in America, and in the process parents won’t have to worry that their children are making terrible food choices at school – those options will no longer be available. If you prefer to send a lunch to school with your child, because they eat low carb or in another special way that the school-offered lunch doesn’t accommodate, there are ways to ensure that your child will eat the lunch you send. It can be tempting for children to choose the school-offered foods, but not if their homemade lunch is full of foods they love. Some healthy food options don’t taste that great to children, and if these are sent for school lunch, they aren’t likely to eat them. There are, however, many great-tasting healthy food options available. Once you find some healthy foods your child loves, stock up on them for school lunches. In addition, you can make healthy food fun. Instead of sending your child a peanut butter sandwich on low carb bread, you can send them peanut butter in a small cup with gluten free pretzels to dip in it. Finding great healthy snacks or dessert items they love is also important. There are many ways to ensure that your child not only eats the healthy lunch you send, but that they are able to do so without feeling as if they are missing out on something better. If your child is on a low carb diet or any other type of diet simply because it’s how your family eats, the school doesn’t accommodate your needs. However, if your child is on a low carb diet or gluten free diet for health reasons, you can contact the school to have them accommodate the needs. If you have a diabetic child or a child with Celiac disease for example, the school will special-order sugar-free or gluten-free foods to serve. If you prefer to have complete control of your child’s food intake, however, you can find many great options for low carb or gluten free foods that you can send from home to ensure your child is eating properly while at school. Thanks for reading our article! If you decide to send your child’s healthy lunch from home, visit our store at Linda’s Diet Delites to stock up on great low carb or gluten free foods they are sure to love! If you are just beginning a low carb diet, you may have strong cravings for those carbohydrates your body is accustomed to consuming. While the optimal goal of a low-carb diet is to completely eliminate refined carbs and sugars, in the beginning this can be a difficult task. There are a few ways, however, that you can fight off these cravings without completely blowing your diet. Read on to learn a few tricks for fighting carb cravings in the beginning of a low carb diet. If you find yourself craving carbohydrates such as bread or pasta, you can opt for substitutions that can help fight off these cravings. There are many forms of low carb breads and other foods that make a great option to prevent yourself from giving in and ingesting those carbs you are trying to avoid. Whatever your weak spot is in your diet cravings, it is possible to find a low carb substitution that won’t ruin your diet, and will make dealing with those cravings easier. There are many different types available, so if the first brand or type you try of a certain low carb food doesn’t taste great to you, don’t give up. You can test out many different types until you find one that you like that will truly help you battle those carb cravings in the beginning of a low carb diet. There is a common phrase in the diet world: “If you don’t want to binge on it later, don’t buy it now.” This applies for low carb diets as well. If you don’t want to slip up and give in to your carb cravings, the easiest way to avoid this is to not purchase the item. When a craving for potatoes or pasta or another type of food hits, if you don’t have easy access in your kitchen, you will be forced to find something else to nosh on. By simply not purchasing these foods, you can help yourself fight off the cravings on a low carb diet. Changing your lifestyle and eating habits is difficult on its own, but if you live with others who aren’t changing their diet, fighting off cravings can be difficult. If others in your home get to eat the carbs you are craving in the beginning of your low carb diet, avoiding the foods can be much more difficult. If you can, get others to join you on your low-carb diet, even if only for a couple of weeks while you fight off those beginning cravings. Once your body has done without all those unnecessary carbs for a while, the cravings will subside and it will become easier to maintain this lifestyle, even if you are the only one in your home with these eating habits. Thanks for reading our article! If you are ready to stock up on great low carb foods to help you fight off cravings, visit Linda’s Diet Delites to find the perfect foods for you! We have written about it before, but for those who might have missed it, one of the newest dietary supplements available that is drawing attention from the mainstream is green coffee (even Dr. Oz has promoted it on his show). Like green tea, there are many ways to get green coffee as a dietary supplement, and it has many health benefits – and according to some studies it even exceeds some of the touted effects of green tea. Read on to learn more about green coffee supplements for weight loss and how it works. If you have been trying to lose weight, but have been unsuccessful, you may have discovered that there are many different types of dietary supplements available that claim to help. However, many dietary supplements for weight loss will cause negative side effects, typically involving the heart and other vital organs. One of the greatest benefits of green coffee for weight loss is that it is an all-natural product with no known side effects as of yet. It does, of course, contain caffeine – just as green tea does – but it contains a small amount in each serving. Other than caffeine, however, green coffee supplements don’t typically contain ingredients with adverse side effects (unlike many weight loss supplements). Green coffee bean extract dietary supplements are a natural source of chlorogenic acid, and when consumed it causes the liver to produce less glucose (similar to the effects of a low carb diet). This, in turn, will cause the body to use its own fat for fuel, which will result in weight loss while taking green coffee extract. In addition, you get the health benefits of coffee, including illness-fighting antioxidants that can help protect your body over the long term. While there are many forms of green coffee dietary supplements available on the market, one of the top options is a liquid form. Liquid dietary supplements, including liquid green coffee extract, are absorbed by the body more quickly than pills. Not only that, but you don’t have to have a drink available for swallowing, making them convenient and easy to take anywhere. 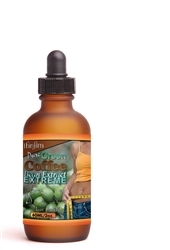 For those who have trouble swallowing pills, opting for a liquid green coffee bean extract is the best choice as well. There are, however, a wide selection of capsules and pills that offer green coffee bean extract as well as other ingredients for weight loss. If you are unsure which will work best for you, consider convenience and your own needs to make this determination. If you are ready to see weight loss and experience the health benefits of taking a green coffee supplement daily, visit Lindas Diet Delites and place your order today!